Stonehurst Freehold condos for sale. 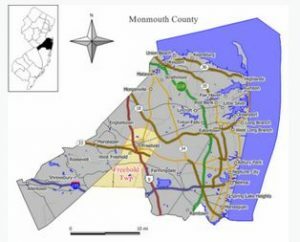 Stonehurst condominium community is located in Freehold Township, Monmouth County, NJ. Stonehurst Freeehold is located west Route 9. The area offers easy access to bus transportation, and is within walking distance to shopping and restaurants. The exciting downtown of Freehold is nearby, And there are many parks in Freehold Township. And the Jersey Shore is about 30 minutes away. In 1970, 495 homes were built in Stonehurst Freehold. Most of the homes are 1 bedroom, 1 bath condos. There are both upper and lower units. There are also some upper 1 bedroom 1 bath with a den. Also you will find some 2 bedroom 2 baths units and a few 2 bedroom townhouses. The homes are typically priced in the low to mid $100,000s. In fact, these are the most affordable condos in Freehold Township. As a result, these homes are popular with investors who wish to purchase a unit as a rental. Each building generally has 8 units. Laundry facilities are located in the basement. Heat is hot-water baseboard, the units do not have central AC. The monthly fee includes common area maintenance, lawn care, snow removal, garbage removal, in addition to heat and hot water. There are 2 different management companies since there are actually two different complexes. However, they are collectively known as Stonehurst. Sorry, but pets are not allowed. Stonehurst is located close to shopping, dining and transportation. Commuters will love living here because of the location. This is because it’s within walking distance of bus service to New York. School age children will attend West Freehold and Clifton Barkalow schools in the highly rated Freehold Township school system. When students enter high school, they will attend the Freehold Regional High School system. Stonehurst is a very active rental complex. Due to the high investor- to- owner occupied ratio, it may be difficult to obtain financing.